Links are to the full text held by the Hathi Trust Digital Library, unless otherwise noted. This meeting was allocated volume 1 in the proceedings volumes series. However, no proceedings were published. 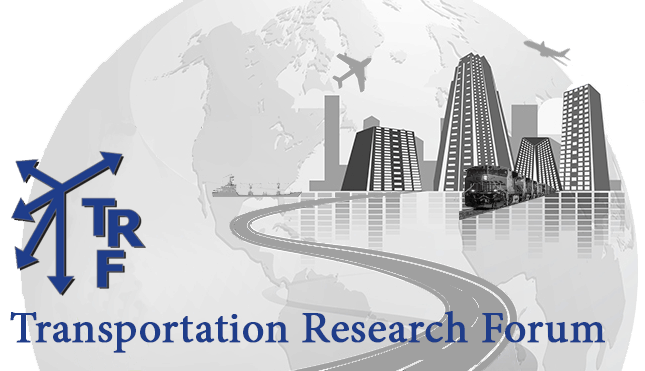 Note that the new “Journal of the Transportation Research Forum” started in 1987 and commenced with volume 28, taking over the numbering previously used for the Annual Forum proceedings. Note that there is a discontinuity in the numbering of annual meetings, skipping from number 29 (1988) to 31 (1989). There was no 30th meeting. Presumably, the 1973 international meeting was then counted in the series of annual meetings. April 2017: Chicago – Proceedings in Conference Maker. Access restricted to TRF members. See TRF members’ website for access.